Dr. Mackarey was born and raised in Scranton, PA and graduated from Central High School in 1976. He received his BS in Physical Therapy from Temple University in 1981. At that time, he had the honor of studying orthopaedic rehabilitation in London, England as a Fulbright Scholar Finalist. In 1986, he received his MS in Human Resources and Health Care Administration from the University of Scranton. In 2000 he was board certified in Orthopaedic Physical Therapy from the American Physical Therapy Association. In 2001 he received his doctorate in Health Sciences from the University of St. Augustine.He is also the author of the “Health and Exercise Forum” featuredevery Monday in the Health and Exercise Science Section of the Scranton Times-Tribune. 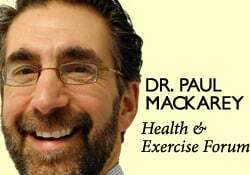 In addition, he can be heard on ESPN Radio’s “Trainer’s Table with Dr. Paul Mackarey” every Monday morning. Dr. Mackarey taught orthopaedic physical therapy classes at the University of Scranton, PT Department and Keystone College, PTA Department. 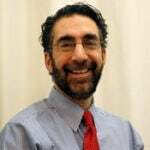 Presently, he is an Associated Professor of Clinical Medicine at The Commonwealth Medical College (TCMC) in Scranton, PA. He has also instructed many continuing education courses at various health care institutions. He has authored and coauthored several clinical and scientific research papers in various professional journals. Dr. Mackarey is dedicated to patient satisfaction and quality healthcare. His areas of expertise are general orthopaedic rehabilitation, post fracture management, neck and low back pain, total joint replacement, shoulder rehab, head, neck and TMJ dysfunction, running and other sports-related injuries. Dr. Mackarey loves to play golf, ski and travel with his family. He is an avid runner and has completed more than six marathons. He resides in Dalton with his wife, Esther, and their two sons, Paul and John. Esther was born and raised in Lebanon, PA and graduated from Lebanon High School in 1977. She received her BS in Physical Therapy from Temple University in 1981. She has worked at Pocono Medical Center and co-founded MMPTC in 1983. Esther can be found in the clinic treating patients and ensuring patient satisfaction. She provided services in rehabilitation, home care, and long-term care facilities on a part-time basis while raising her family. Esther has attended numerous continuing education classes and has a special interest in geriatric neurology and orthopaedics. She is a 25-year member of the American Physical Therapy Association (APTA). Esther enjoys golfing, skiing, gardening, and traveling with her family. She resides in Dalton with her husband, Paul, and their two sons, Paul and John. Dr Paul John Mackarey developed a passion for physical therapy at a very young age. He was raised in a family of physical therapists and working at Mackarey & Mackarey Physical Therapy since age 13 taught him many things. First, he learned the satisfaction and gratification from helping others regain and improve their lifestyle and independence. Also, he developed a respect for the complexity and ever-changing field of healthcare, specifically, physical therapy. Furthermore, Dr. Mackarey feels that the unique relationships established with patients is both rewarding and gratifying. For these reasons and many others, he set his sights toward making physical therapy, not only his profession but also his lifelong vocation. In 2012, Dr. Mackarey graduated from Temple University with a bachelor’s degree in Health Science and Kinesiology. Following graduation, he spent the next year observing several orthopedic surgeries and working in a teaching facility specializing in orthopedics and hand rehab to better understand the individuals he would soon serve. He attended Temple University’s Doctor of Physical Therapy Program and graduated in 2015. For 6 months Dr. Mackarey directly studied under the tutelage of an Orthopedic Clinical Specialist and Residency Trained Physical Therapist to further enhance his clinical skills. The experience fostered a passion for evidence-based treatment with particular interest in low back and vestibular disorders. He is proud to direct his treatments with the most current physical therapy approaches supported through research. He implements a variety of manual therapy techniques that are individualized for each patient to help expedite their recovery. Currently Dr. Mackarey returned to his hometown of Scranton, PA with his wife, the former Carina Shults. He is eager to participate in the health and wellness of people of NEPA. When not working, he enjoys traveling, hiking, kayaking, skiing, golfing and spending time with family and friends. Dr. Catherine Heimrich graduated from St. Joseph’s University in Philadelphia, PA in 2011 with a Bachelor of Science degree in Biology. She completed her Doctorate of Physical Therapy from Temple University in 2014. Prior to joining Mackarey & Mackarey Physical Therapy Consultants, she practiced as a physical therapist at Regional Hospital of Scranton. She particularly enjoys treating patients with orthopaedic and balance conditions, and she has continued to further her skills through several continuing education courses. 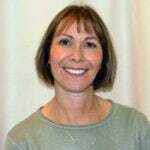 Professionally, Catherine is a member of the American Physical Therapy Association, and she has participated as a clinical instruction for PT students. She currently resides in Clarks Summit, and in her free time she enjoys travel, yoga, dance, and spending time outdoors. Special Interests: Candy has taken continuing education credits in massage therapy, the cardiac population, multiple sclerosis, and breast cancer recovery. Candy has also taken courses in exercise programs, from Kids to Senior Citizens. Education: Associate Degree in Physical Therapy Assistant Program, Penn State University, Hazleton Campus. Bachelor of Fine Arts degree from Marywood University. Certification: Board-Certified Physical Therapist Assistant, Pennsylvania; Certified in CPR and First Aid. Special Interests: As an avid runner, Sarah has a personal interest and special expertise in examining gait patterns and fitting people with the proper running or walking shoes. Sarah also has special interest in working with patients who are recovering from sports injuries. 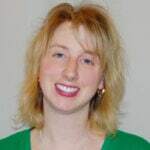 On the weekends, you can find Sarah painting or drawing, running or cycling with her husband Cutter, walking their dog Barkley, or performing crafty DIY renovation projects in their home in Taylor, PA.
Education: Associate Degree in Physical Therapy Assistant Program, Mercyhurst University. Bachelor of Science degree in Community Health and Associates of Applied Science in Health Professions from Lock Haven University. Special Interests: In his spare time Zach enjoys skateboarding, snowboarding, golfing, kayaking, among many other exciting outdoor activities. Zach has a personal interest in the rehabilitation of sports related injuries. Zach is eager and focused on continuing his education, knowledge, and experience to achieve his goal of becoming a DPT. On the weekends, you can find Zach enjoying one of his many hobbies.